Rock Creek Park is Nature's gem in Washington, DC. 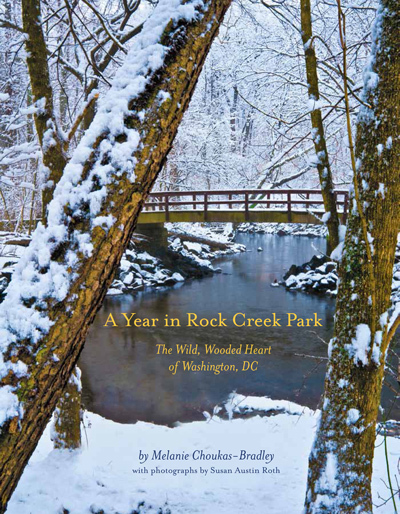 Twice the size of famed Central Park in New York City, Rock Creek Park is the wild, wooded heart of the nation's capital, offering refuge and a keen sense of place for millions of residents and visitors each year. Rock Creek Valley serves as the spine of the national park. Its history is long and storied, from native Indian tribes who fished the creek, hunted the woods, and quarried the rock outcroppings, to Euro-Americans' claims on the land as mill sites, to deforestation near Fort DeRussyduring the American Civil War, to its ecological preservation and designation as a federal park in 1890, the same year Yosemite in California became a national park. 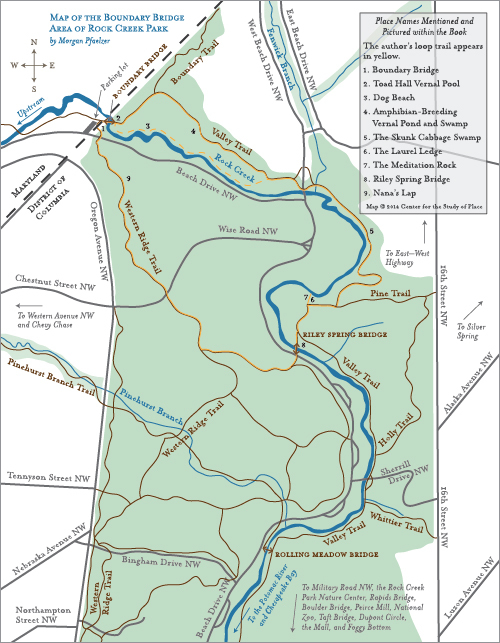 "Rock Creek Park's legendary 'wildness' has inspired not only American Presidents such as John Quincy Adams, who heralded Rock Creek as 'this romantic glen,' and Teddy Roosevelt, who led hikes and rock-scrambles there, but also other devotees such as Edward O. Wilson, the world-renowned scientist who, as a boy, fondly studied in the park's environs." But this is more than a nature book, for Choukas-Bradley makes enlightened connections between the natural cycles of life within the park and her life as both a naturalist and writer and a wife and mother. Woven into her wanderings is an exuberance for the restorative powers of Nature and a yearning for better stewardship of our earthly home. Within these pages, Choukas-Bradley leads us on a personal discovery of the wonders of Rock Creek Park. Enhanced by the beautiful photographs of Susan Austin Roth, we are given the gift of an incredible and unforgettable journey. 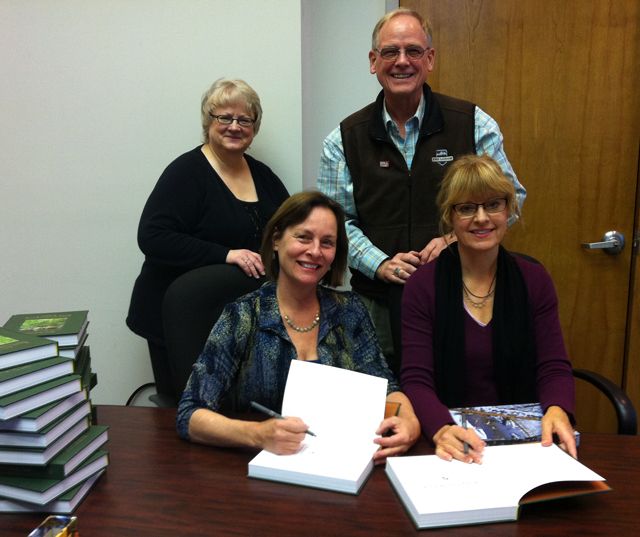 Author Melanie Choukas-Bradley (front left) and photographer Susan Roth sign copies #44 and 45 of the limited edition of A Year in Rock Creek Park: The Wild, Wooded Heart of Washington, DC. Also pictured are Jane Graf, Director of International Publishers/Casemate, and George Thompson, the publisher. Photo by Arlene Aielto. For a list of current events, please visit Melanie's website here. For a list of archived past events, click here. 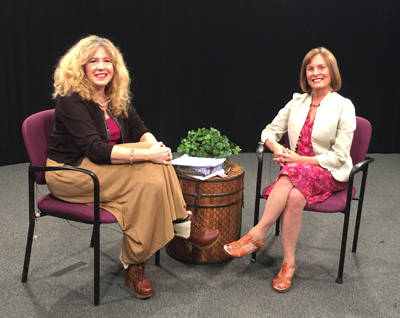 Melanie's interview on Forward Motion with host Karen Allyn will debut on Montgomery County Cable Channel 21. Read a community spotlight on Melanie Choukas-Bradley. All content © GFT Publishing. All rights reserved. Cannot be reproduced without permission. Website designed by Morgan Pfaelzer.